The coauthors of this theoretically innovative work explore the relationships among anthropological fieldwork, museum collecting and display, and social governance in the early twentieth century in Australia, Britain, France, New Zealand, and the United States. The coauthors of this theoretically innovative work explore the relationships among anthropological fieldwork, museum collecting and display, and social governance in the early twentieth century in Australia, Britain, France, New Zealand, and the United States. With case studies ranging from the Musee de l'Homme's 1930s fieldwork missions in French Indo-China to the influence of Franz Boas's culture concept on the development of American museums, the authors illuminate recent debates about postwar forms of multicultural governance, cultural conceptions of difference, and postcolonial policy and practice in museums. 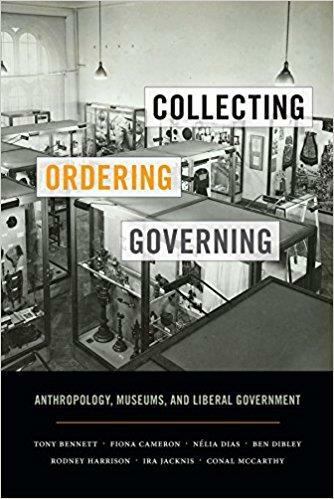 Collecting, Ordering, Governing is essential reading for scholars and students of anthropology, museum studies, cultural studies, and indigenous studies as well as museum and heritage professionals.